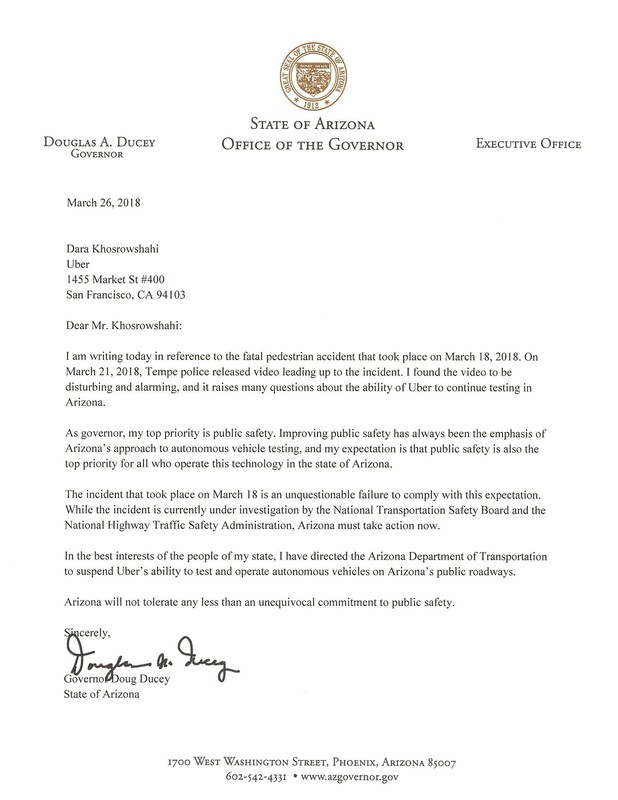 The governor of Arizona has told Uber to “get an Uber” and stop testing in the state. With no instructions on how to come back. Unlike the early positive statements from Tempe police, this letter is harsh and to the point. It’s even more bad news for Uber, and the bad news is not over. Uber has not released any log data that makes them look better, the longer they take to do that, the more it seems that the data don’t tell a good story for them. In other news, both MobilEye and Velodyne have issued releases that their systems would have seen the pedestrian. Waymo has said the same, and I believe that all of them are correct. Waymo has a big press event scheduled for this week in New York, rumoured to announce some new shuttle operations there. I wonder how much consideration they gave to delaying it, because in spite of their superior performance, a lot of the questions they will get at the press conference won’t be about their new project. There are more signs that Uber’s self-driving project may receive the “death penalty,” or at the very least a very long and major setback. A long and major setback in a field where Uber thought “second place is first loser” to quote Anthony Levandowski.